Today Dropbox has launched Paper, its new collaborating editing tool. Paper is currently in beta and the invitation to use ‘Paper’ is beginning to be sent. It is somewhat similar to Google Docs that presents its user a shared space to work on documents. Paper will launch first as a web app only that will allow you to create, upload and share any document with people you want to see it. Paper starts with a text editor, with formatting tools covered up keeping in mind the end goal to motivate individuals to concentrate on composing. You can make distinctive sorts of records too, from reports. To stay informed concerning your record, you can take a look at its step-by-step version history. It also supports Google Docs. Any file that is stored in Dropbox, whether it is word, excel or PowerPoint can be dumped into the Paper document and served up as a preview. You can also drag and drop photos and can also add videos with YouTube links to your file. The file or folder you visit more often in dropbox can be marked as Favorites. Inside Docs, user will find several tabs such as recently edited documents where the most recent documents that you has created, edited etc. will be found. Another tab is Deleted tab which display the list of documents that has been deleted by users. According to wired, “Paper feels like a cross between Google Docs and Medium. It’s an ultra-minimal text editor—every new document offers space for a title and a body, and nothing else to look at. You go to paper.dropbox.com (which right now won’t get you anywhere unless you’re in the beta), and just start typing. 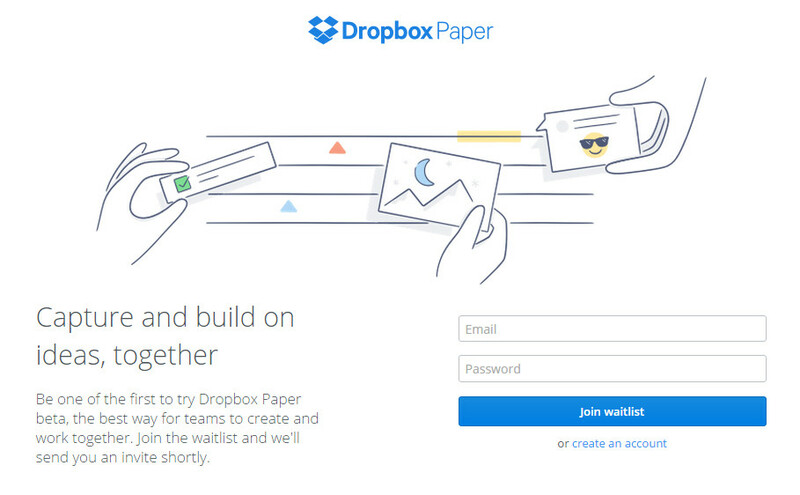 If you are looking forward to use Paper, you can sign up for the waitlist at paper.dropbox.com .